Office Location: Farnborough, UK. Employees can also work full time from this office. Please note that you must live in and have the right to work in the UK or Ireland to be eligable to apply for this role. IDGateway's team is a tight knit unit. We primarily work on projects which can be anything from minor changes (1-5 days), New features and smaller projects (2-6 weeks) and larger projects (6 weeks +). When working on projects, our technical engineers have the freedom to come up with new and innovative solutions using the most relevant and suitable technologies and then these are ratified by our central Technical Design Authority (TDA) group. We also work very closely with our Test and Support functions to ensure that we are able to develop code in a sustainable and effective way. The Support and Test team report to the Service Manager who is also a Senior Developer and a member of the TDA. It is important that our team understand how IDGateway works in the real world, to ensure that we produce practical solutions. We work to the mantra of UUBB. Useful, Useable, Brilliant, Beautiful. We operate in an agile way using Jira to plan our work to the teams. It is not all hard work. We also like to play. We go to a nice hotel every year and stay over for our Christmas party (One year we went on a cruise). Equally in the summer we often go to events such as Farnborough Airshow, Horse Racing, Go Karting all the way through to a couple of beers after work on a Friday evening. 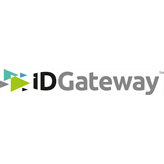 Want to get notified about new jobs at IDGateway Ltd?